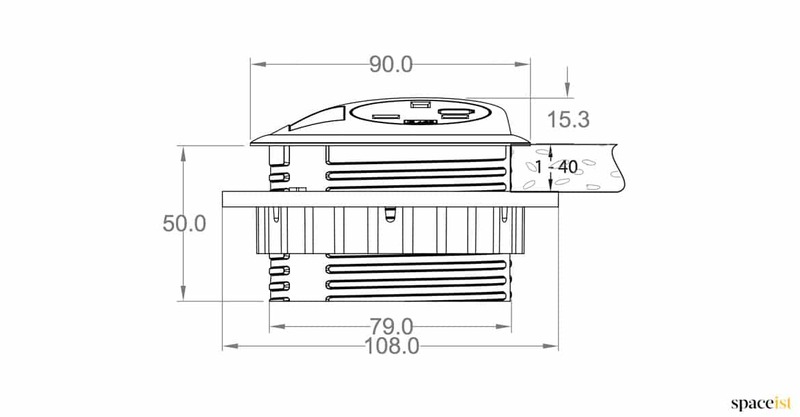 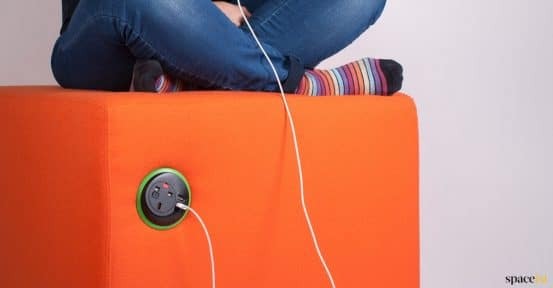 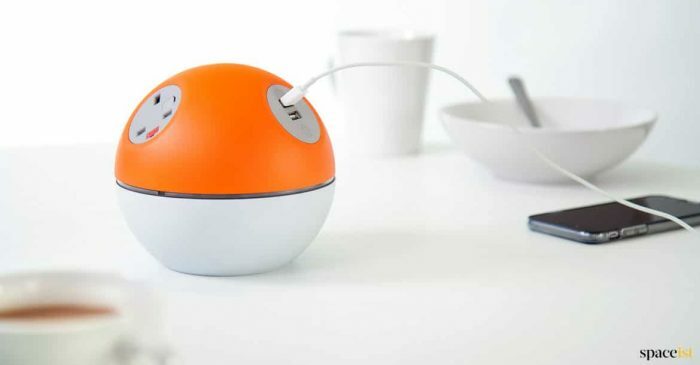 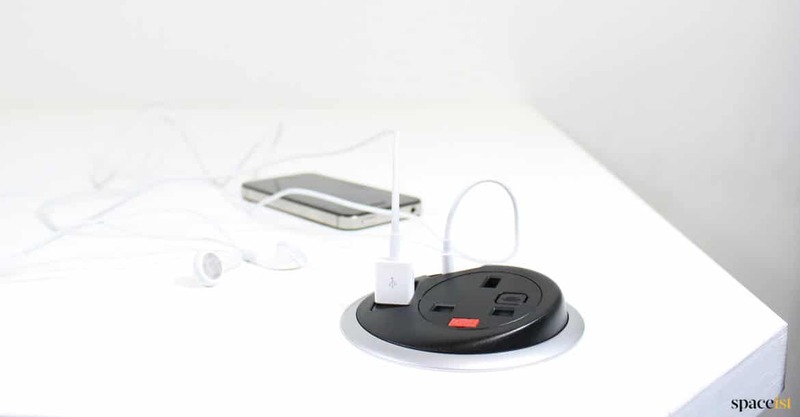 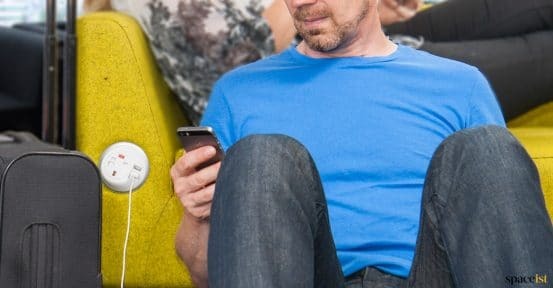 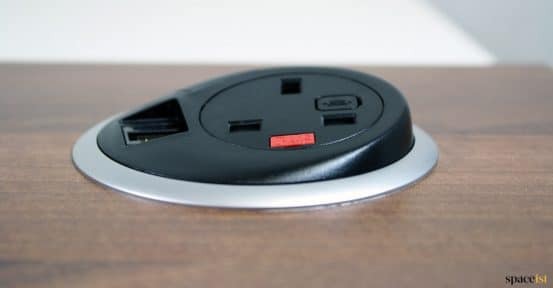 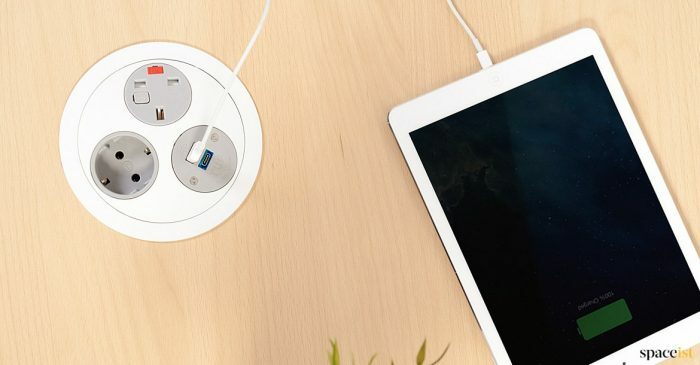 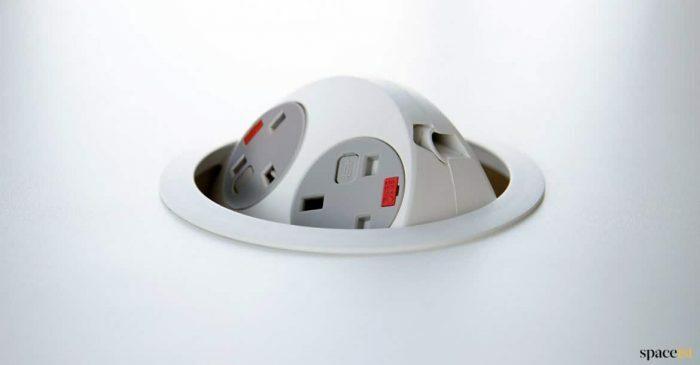 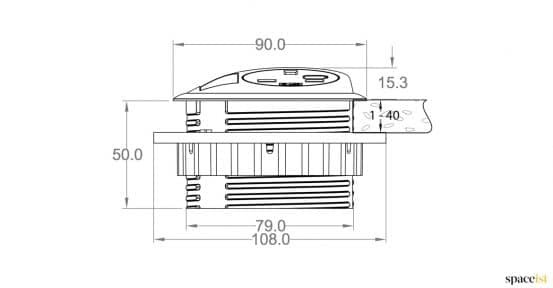 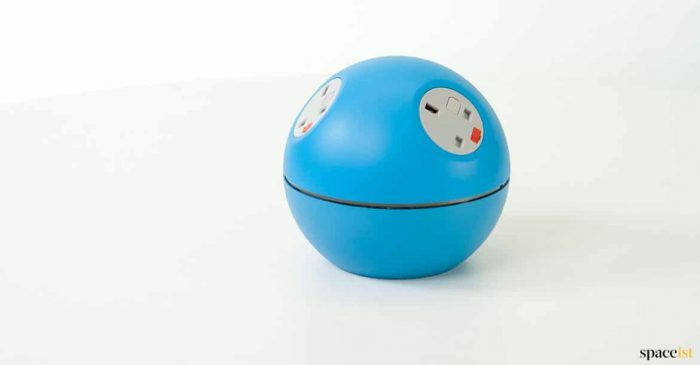 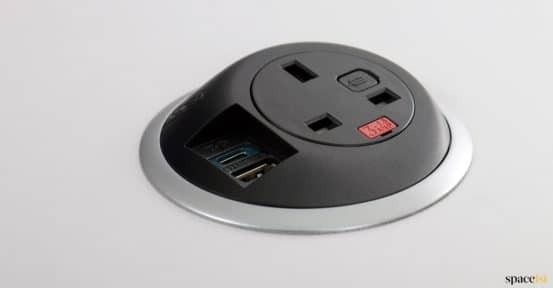 Small round power socket that fits into any 80mm grommet hole which is the standard size on most desks & meeting tables. 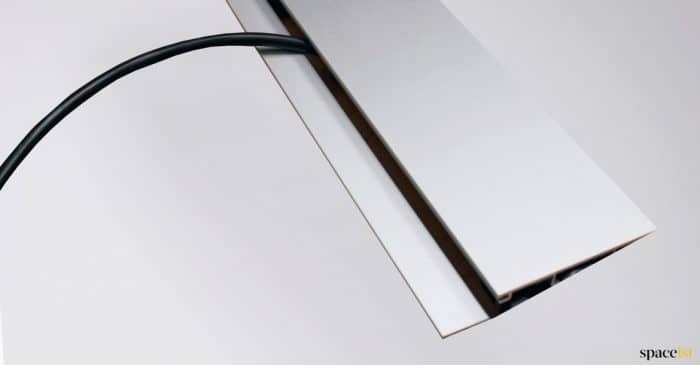 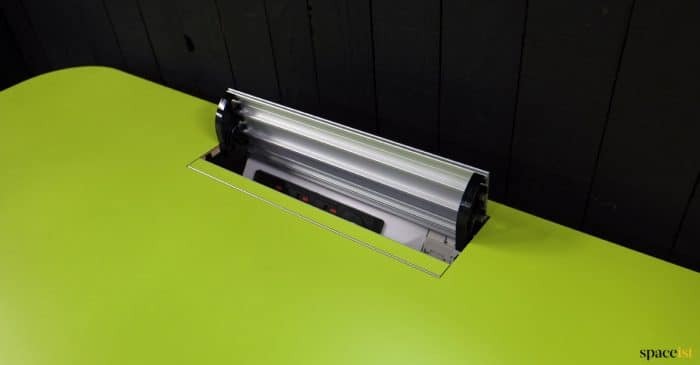 Fitting is tool free thanks to a large bolt that screws to the under side of the desk or meeting table top. 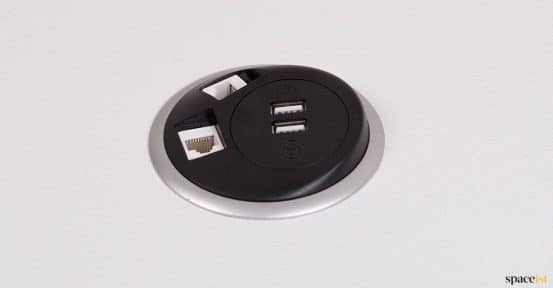 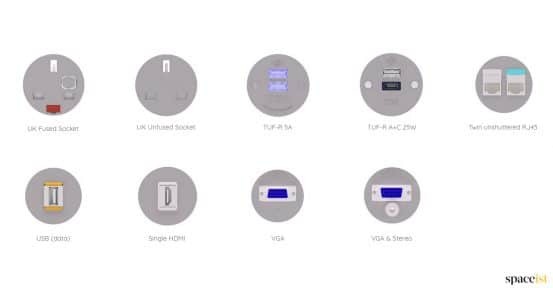 New twin USB fast charging socket or standard UK plug, USB charger, USB data, Ethernet RJ45, HDMI, VGA or VGA stereo. 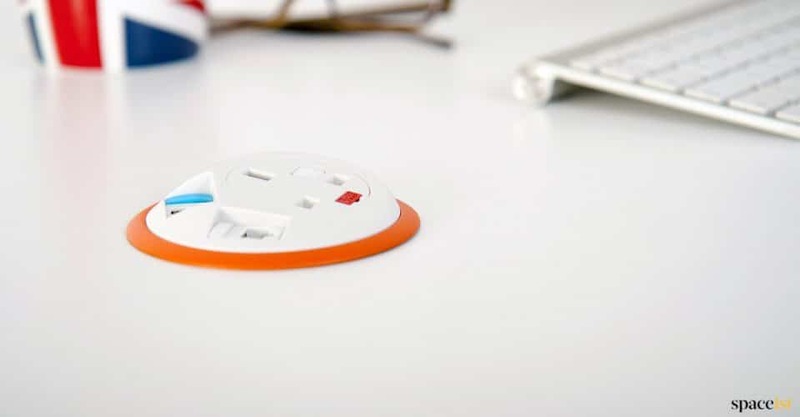 Fused UK sockets can be specified with 5 x 20mm anti-surge ceramic fuses. 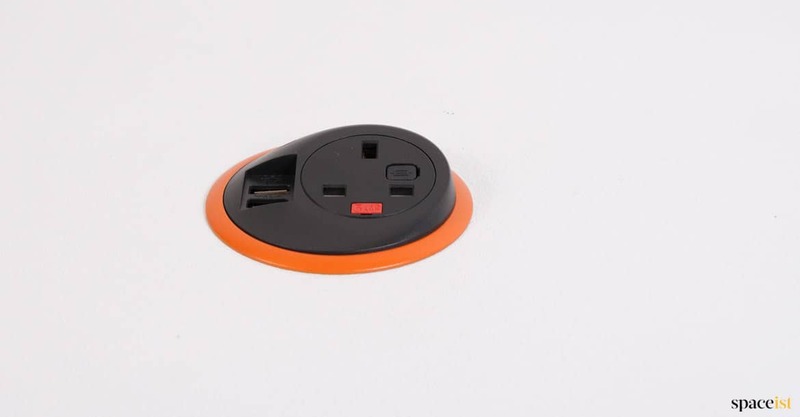 Power cord can be supplied with a standard UK plug or ready for fitting to a current power source.